Today is the closing date for a consultation by Cumbria County Council on the future of the Edenside Residential Care Home in Appleby. Cumbria County Council is in a similar position to most local authorities in that it provides a number of Residential Care Homes for the Elderly in various towns around the county. However, it is in the process of redesigning its services for Adult Social Care to respond to increased numbers of elderly people, budgetary constraints and the need to ‘modernise’ the services on offer. In particular, the Council is interested in developing Extra Care Housing for the elderly. A number of schemes have already been completed including a recent one in Brampton that is being provided by Impact Housing Association. However, housing associations have recently become reluctant to develop new schemes due to general financial uncertainty and the government’s proposals to restrict housing benefit eligibility in sheltered and supported housing. In December 2015, ‘Storm Desmond’ resulted in extensive flooding in Appleby. The Edenside Residential Care Home was one of the buildings that was flooded and the residents were evacuated to a former Residential Care Home in Penrith (twelve miles away). The residents are still there. In the meantime, the Council has commissioned a report on the works that would be needed to repair the building and to make it flood resilient and has concluded that the cost would be £300,000. They then went out to consultation over whether to re-open or close Edenside. The Council is not making a recommendation, saying that it will take a decision once the consultation is completed. Appleby Town Council, Eden District Council and others have mounted a vigorous campaign to have Edenside re-opened and it is clear that this campaign has considerable support in the town. Re-designing an Adult Social Care service around Extra Care Elderly housing rather than Residential Care is a difficult enough matter at the best of times. Gaining public support for proposals can also be a challenge. However, this is an interesting case study as the flooding has created a difficult situation by forcing the Council to consider the future of Edenside before it would otherwise have done so. The Smith Institute has recently published a report entitled ‘Devo Housing: The Emerging Agenda’ that looks at the role housing has played in the eleven devolution deals agreed so far between combined authorities and HM Treasury. “Slow, piecemeal and undermined by centralising tendencies and inappropriate national programmes and targets”. Partnerships between stock-retaining local authorities and combined authorities are seen as ‘unlikely and risky’ because of the government’s decision to cut social rents. Therefore, the Smith Institute considers that combined authorities are more likely to work with housing associations and finds that some are seeking to pool funding for housing schemes. The relationship with the Homes and Communities Agency is seen as ‘critical’ to unlocking land and delivering new housing. This report follows that from the Chartered Institute of Housing and Chartered Institute of Public Finance & Accountancy that concluded that self-financing has not delivered what was intended due to subsequent changes in government policy (see my blog of 18th July 2016). Meanwhile, housing associations are contemplating the ‘voluntary’ scheme for extending the ‘right to buy’ to their tenants. One of the contentious issues is the ‘compensation’ that housing associations will receive from the government for selling their homes at a discount under the Housing & Planning Act 2016. Discussions are ongoing between Ministers and the National Housing Federation prior to the issuing of regulations that are expected next month. This week, ‘Inside Housing’ is reporting that Ministers are set to insist on withholding 30% of compensation payments for ‘right to buy’ discounts until replacement homes are started, despite strong criticism of the idea from housing associations. It is also reported that South Yorkshire Housing Association may decline to operate the ‘voluntary’ scheme because of ‘changes in the operating environment’ since the ‘voluntary’ scheme was agreed. The compensation is, of course, to be funded through the sale of high value council homes but the regulations that are required to introduce this are not expected to be published until the autumn. It has also been revealed that the ‘reinvigorated right to buy’ scheme for local authorities has not resulted in the ‘one-for-one’ replacement that the government envisaged. This will not surprise many in the sector! Of course, in Scotland and Wales the ‘right to buy’ is being ended and alternative approaches are being taken to encourage home ownership. In time, this will enable us to compare the effectiveness of these different approaches to promoting home ownership and providing social housing. “An indebted government and people have no political freedom because the markets will act independently”. In short – debtors have no sovereignty because they surrender it to their creditors. My fear is that in trying to borrow and spend their way out of the Brexit crisis, the United Kingdom government will create an even greater financial crisis in the long-term with prosperity and sovereignty being lost as a result. We are getting an increasing number of enquiries about service charges from all parts of Britain. Local authority and housing association landlords want to ensure that their approach to service charges maximises income and is in accordance with legislation and good practice. We are able to provide advice and assistance to local authorities and housing associations through training and management consultancy. Last week I provided an in-house session of ‘All You Want to Know about Service Charges in Social Housing’ for a local authority in Northwest England. The delegates found that the information provided was relevant, the quality of presentation was good and that the training met their needs fully. They described the session as useful, practical, clear, interesting and thorough. If you would like to make an enquiry about an in-house session please contact me at Adrian.waite@awics.co.uk or 017683-51498. We have just launched this year’s seminar on ‘Developments in Local Authority Housing Finance’. This seminar is designed to look in depth at current developments in local authority housing finance in England – especially the implications of the policies of the new government, the implementation of the Housing & Planning Act 2016, the vote for Britain to leave the European Union, the public finances, welfare reform, rent reductions, sale of high value properties to fund the extension of ‘right to buy’ to housing associations, ‘pay to stay’ and new development. If you want to be up to date with the world of local authority housing finance, this is the seminar for you! Unfortunately, disabled access to places like public buildings and hotels is still an issue. I recently went to a hotel with a disabled person who uses a wheel-chair. 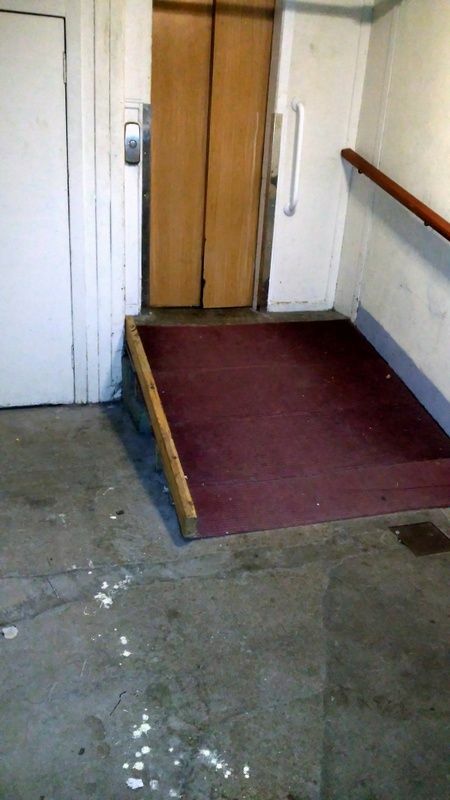 The hotel claimed that it had disabled access but when we arrived we found that the access was inadequate and that it was impossible for a wheel-chair user to enter the building. 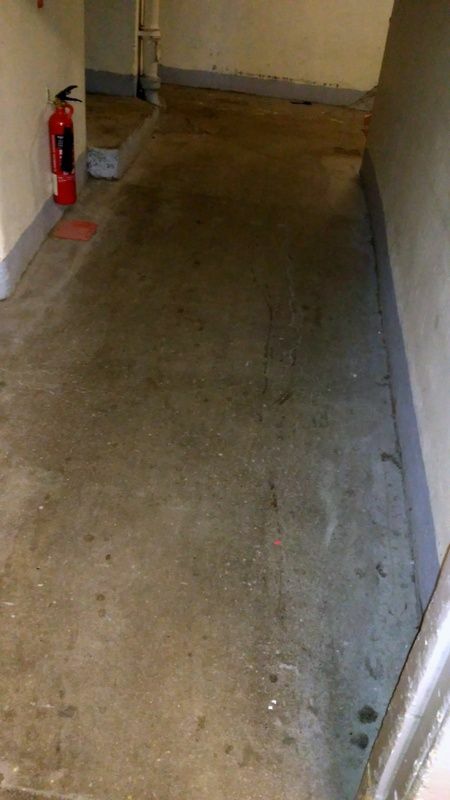 The photographs below illustrate the problem with steep slopes to navigate and a lift with a door that was too narrow for a wheel-chair to enter. 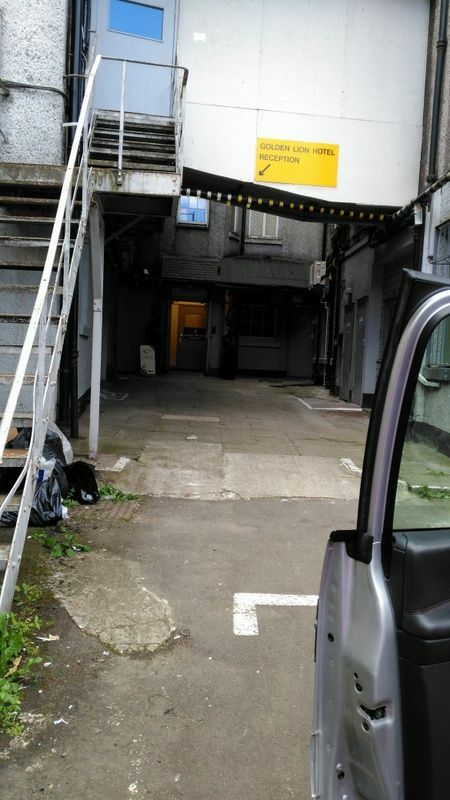 The fact that the disabled access was through a car park and cellar was also in contrast to the front door entrance offered to able bodied visitors by this three-star city centre hotel that charges about £80 a night for its rooms. I will not name the hotel because my intention is not to embarrass them but to point out what appears to me to be a widespread misunderstanding about the access needs of disabled people. I have never come across a person who does not want to help disabled people but I often come across a lack of understanding of their needs. Perhaps the government or a disabled persons’ charity should come up with a disabled access standard. There could either be a voluntary scheme where organisations could apply for a certificate that they met the standard or it could be made compulsory for certain buildings to meet the standard. At least disabled people would then know if they were told that a building had disabled access what standard they could expect. Before we organise a seminar at a hotel or a conference centre we always check that the disabled access is adequate. Last week the Bank of England reduced interest rates to a record low of 0.25% and announced a programme of £70billion of quantitative easing. Apparently, further reductions in interest rates are planned. It is also expected that in the autumn the UK government will introduce a budget that will increase public expenditure and reduce taxation at a time when government revenues are already falling. The government was already projecting at the time of the last budget that the 2016/17 deficit would be £75billion and that total public debt would increase to £1.6trillion. This appears to me to be the biggest reflationary package using both fiscal and monetary measures that any UK government has ever introduced and underlines the threat to the economy caused by falling investment, exports and consumer demand. Whether this approach will be effective and whether it will be sustainable in the long-term remains to be seen. It certainly does not appear to me to be ‘prudent’.